Last month. Starbound devs teased a new project, that has now been revealed! 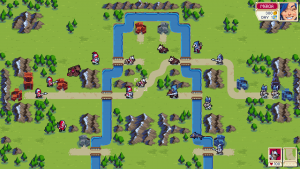 Wargroove is a ‘spiritual successor’ to tactics games from the 2000’s, such as Advance Wars and the classic Fire emblem. Wargroove is expected to be out later this year. For more information check the official website.